The holidays would not be complete without me making this glorious cake. Jewish Coffee Cake…hum? Is it a coffeecake? Is it a cake? What exactly is it? This recipe was one of my mom’s favorites. I think she got the recipe from one of my dad’s coworkers. I am not sure if it was a family recipe that had been passed down for generations in a Jewish family or where it originated. When I asked a friend of mine who is a chef, and is Jewish, where this recipe may have come from, she said she had never heard of it. So, the mystery continues. What I know for sure is, this cake is delicious. It is actually not coffee cake in nature. It is more like a pound cake. Now, some of you may say, “No thank you” to the maraschino cherries. You may think it makes it too fruitcake-like. Not at all. 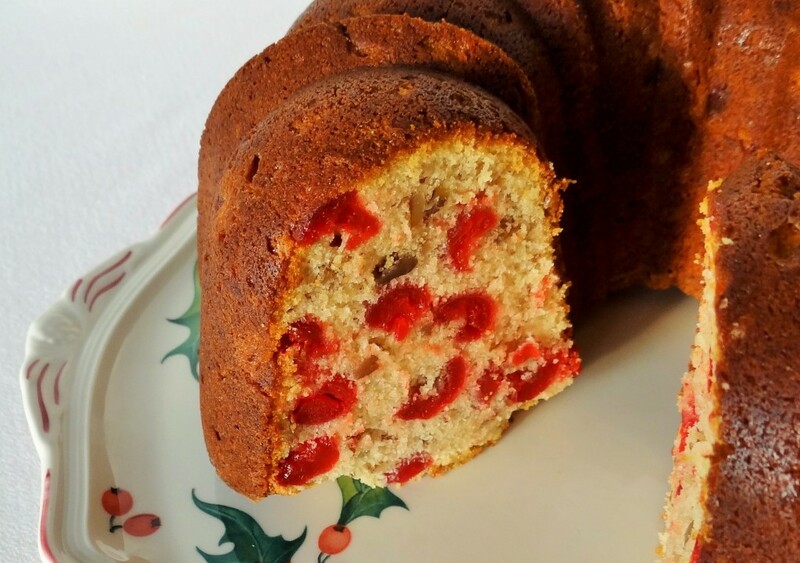 The sweetness of the cherries and the toasty pecans balance this cake out beautifully. It can be served as a dessert, for breakfast or as your have-to-have sweet with your next cup of coffee. Try this recipe. You will not be disappointed. So, Happy New Year from my kitchen to yours! And thanks mom for all your inspiration! Drain maraschino cherries and cut into pieces. Place on a paper towel lined plate and pat dry. Set aside. In a large mixing bowl, combine butter and sugar until creamy. Add in eggs and vanilla extract. Beat well for 1-2 minutes. Sift together flour and baking powder. Slowly add to wet ingredients and mix until blended. Do not over mix. Fold in maraschino cherries and pecans. 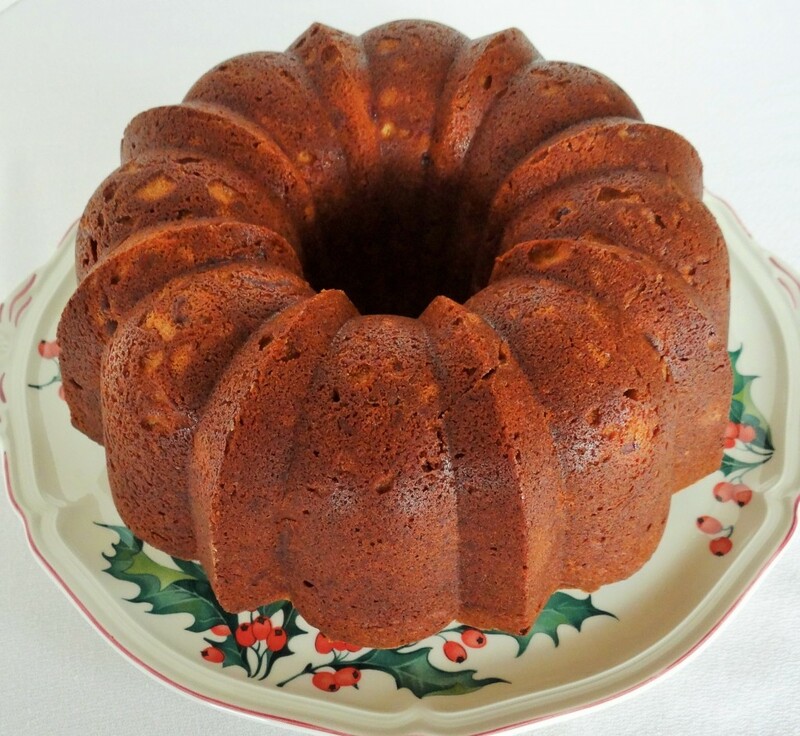 Pour into a prepared angel food cake pan or bundt pan. Cool on a wire rack. Turn out on a cake plate or serving plate.